Programming is the poetry of the Strength & Conditioning world, except way more awesome and less awkward to talk about in public. Some programs flow smoothly, creating synergy in movement and some seem to be as random and mundane as a lazy haiku. If you're on this site and reading this, chances are that you have experienced both. And chances are, you've seen the differences in effectiveness as well. Most people will go with simple antagonistic pairings, ensuring that the exercises don't pull from one another. A simple push-pull template works well for this and is a common go-to for any trainer or coach. Others may go with simple muscle group splits within their pairings, addressing certain fibers appropriately while others rest. Some may even choose to do all their sets of one exercise at a time, not worrying about pairings. These are all tangible ways to design a program, but what if I told you that there was a way to have your pairings improve the effectiveness of one another? To, "prime" some of the movements in the program if you will. (It's oddly satisfying dropping the title of your article in the article). 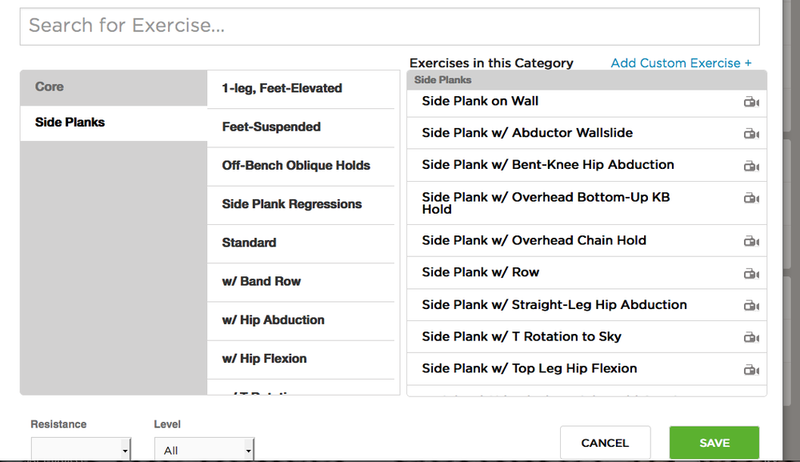 Yes that's right, by putting certain exercises together, you can actually improve the movement efficiency and strength. I've seen this work with individuals of all training ages. We've had experienced lifters PR and we've had newb trainees show significant improvement in execution of the exercise between sets. The reason for this is biofeedback. With any exercise of corrective or, "functional" measure, you should see some instantaneous changes in movement when done correctly. Whether it's a sudden increase in range of motion or a new found ability to stabilize a joint. Using a movement to practice muscle synchronization or just prime muscle activity can create a temporary increase in function. Pairing movements that carryover with biofeedback is a sure fire way to drastically improve the effectiveness of the workout. Not only will the trainee be able to lift more weight in the applied movement, it will make the improved function stick that much more. It's a win-win! So what exercises work well together? Ones that are working upon different aspects of the same pattern. So for example, a deadbug is mainly focusing on the ability of the obliques to stabilize the spine as the hip extends and shoulder flexes. This is addressing activation of the anterior oblique sling, a system of muscles that act together in gait eccentrically during the push-off phase and concentrically during leg swing. If this system is dysfunctional, it's going to severely impact the individual's ability to control the rotation during things like gait or throwing. Due to this, deadbugs are a perfect pairing for a lunge variation, especially for those individuals who like to turn out at the hips. By pairing lunges with deadbugs, we're priming the obliques to stabilize the pelvis/torso and talk to the adductors to stabilize the rotation of gait. This will improve the force transmission of the lunge and create better acceleration and deceleration. AKA Better performance! Thought must also be put into the threshold strategy at which you're training your client. If you plan on pairing two intensive movements, the chance of good carryover between the two will be minimal, though you can still get a great training affect. Of course, as the individual becomes stronger and more trained, they will be able to perform more advanced variations of each and still have them compliment each other. I personally like to scale it by goal of the more compound movement and training level of the client: higher intensity and max strength work = low threshold pairing. Accessory movements = moderate threshold depending largely upon individual's abilities and training age. ** I feel this should be noted: Any low threshold work you do she be able to be done while maintaining good, diaphragmatic breathing, this will carryover much better as it'll address the local stabilizers much more. You can learn more about threshold strategy here. So for example, if I have a client squatting heavy for their main movement, I will most likely pair that with a quadruped rocking variation. The rocking is a low threshold version of the squat, so it's addressing the tonic muscles (stabilizers rather than prime movers). This will make the local stabilizers within the spine and hips be more active in the pattern and improve the actual squat. I can also manipulate the rocking variation to address any issues in the squat pattern. So if I want to get more out of the anterior chain of stability, allowing them into a deeper position, I may try an RNT quadruped rockback vs a band. You could get as creative with it as you want for your training purposes. I've seen great success with not only getting people squatting better, faster, but even in improving depth and ease of movement in some of my experienced trainees. This guy is tall and has a ways to go down, so emphasis is placed on the eccentric phase in the squat and the rock. You're going to find that certain movements create more biofeedback for some individuals than others. This is where a good evaluation becomes key to really dissect what needs to be addressed. However, for the most part you are going to see that certain exercises just really mesh well with each other to get people moving optimally. This is why if you look at the templates that I have created in Concentric Brain, you will see that my pairings are matched up as such. All I have to do is match the right intensities and ensure that the variations are appropriate for that individual. Side Planks and Step Ups: It's pretty common to see some hip hike in step ups, though not at all desirable. A common issue is that people will have poor frontal plane stability and be limited in training this exercise. There is usually some dysfunction in the way the QL, obliques, glute med and adductors talk to each other to stabilize the pelvis in that chain. I have found side plank variations to be great tools for having instant carryover in this pattern. You can choose the variation that puts emphasis on the muscle that you think may be the weak link. They're also very scalable in intensity, making them usable for all levels of trainee. Concentric Brain has a plethora of side plank variations for you to match to your client. Bird Dogs and Overhead Presses: Yup, the exercise that has traditionally been a cook-book back care exercise can actually help your overhead press. The bird dog links several movement systems together and when performed correctly should really help with alignment while the shoulder and hip go through full ranges of motion. It's a relatively low threshold movement and as such should get the tonic muscles more active. As I noted in last week's blog, alignment and positioning are the keys to a good overhead press. I've also found that playing with the hand positioning in quadruped rocking variations can be advantageous by creating more scapular stability via the serratus anterior. SFMA Rolls and Balance Work: Biofeedback actually works on many more levels than just altering range of motion or mechanics. It can actually work with sensory components as well. Many people look at SFMA rolling as a way to disassociate upper and lower limb movements and work on rotational mechanics. They do all of those and because of that, they can have great carryover to almost any movement for those less coordinated. But the other thing they do that is they help to stimulate the vestibular system via the otoliths within the cohclea. Gravity gives us sensory feedback by using the gel-like substance within the otoliths to pull on the hair follicles. Sensory information about the positioning of the hair follicles is sent to the CNS and tells us which way is up. With a lot of people, especially older clientele, this feedback may be muffled due to less sensitivity of the hair follicles. The SFMA rolling patterns make them slowly roll back and forth, causing more movement of the gel-like substance within the cochlea and stimulating the vestibular system. This creates carryover into upright movements by capitalizing on the increased stimulation and its transfer to body awareness. If the rolls are a little too much for someone (they get dizzy easily) then you can even gently rock/shake them while supine to help recalibrate the gel-like substance first. So long as you can put your hands on your client that is. Slide from the upcoming rehab-based class I will be teaching at NPTI. AKA Shameless self-plug. As you can tell, you can get pretty creative with the combinations. There are several pairings that I use that I didn't even mention in this article for length's sake. All it takes is a bit of thought, creativity and some trial and error. As long as you are taking notes, you'll soon have a toolbox full of pairing variations to get people moving right. This becomes extremely helpful when creating your templates and when put in Concentric Brain, you can easily just pick the variation of the movement appropriate for that person. Once you have your methods and templates down, you will be writing smooth works of art in no time. Newer PostSAPT Contests through 4/12/15! Older Post(Almost) Every Exercise is a Core Exercise!